A bill that would legalize the medical use of marijuana is advancing in the South Carolina House after a unanimous vote by the House of Representatives subcommittee hearing on Tuesday, February 21st. 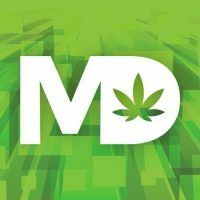 The panel lasted over three hours and featured over 20 speakers, most patients, who testified on how marijuana relieves symptoms of chronic pain, severe epilepsy, and PTSD, among others. Among those opposed were State Law Enforcement Division Chief Mark Keel who on Tuesday asked legislators not to “be swayed by those who play upon your sympathies.” He referred to cannabis as a “street drug” that is being used to treat nearly everything. If passed, the South Carolina Compassionate Care Act would allow patients access to possess up to two ounces of marijuana purchased from a licensed dispensary if their physician certifies that the patient could benefit from the drug. That could mean a lot of relief for South Carolina veterans suffering from PTSD. “Somebody told me that they have the highest per capita military service of any state, which does not surprise me based on the number of veterans I’ve spoken to,” says Dansky. “And it’s not just about PTSD for veterans; it’s also about chronic, severe, and debilitating pain. A lot of these folks come back with serious injuries, and the VA wants to put them on a heavy dose of opioids, and a lot of them don’t want to do that. They want to choose a safer option that doesn’t have the side effects and the dependency and the withdrawal symptoms. According to the Center for Disease Control and Prevention, “Opioids were involved in 33,091 deaths in 2015, and opioid overdoses have quadrupled since 1999.” Though South Carolina has not seen a “statistically significant” increase in drug overdose deaths, the state did experience an increase of 9% between the years 2014-2015. Fentanyl, for example, is a synthetic opioid, that is more than 25 times as potent as heroin, and is currently in use for pain management for terminally ill cancer patients. In comparing the chemotherapy treatment she received while fighting cancer and the opiate drug she received while recovering from a broken ankle, Dansky says in no uncertain terms that coming off of the opiate was the more miserable experience. The next step for this bipartisan bill is for Chairman Howard to either hold a hearing or a vote it to go before it goes to the full Committee. From there, it will be debated on by the House Committee on Medical, Military, Public and Municipal Affairs (or the 3M Committee), and they will decide on whether it gets moved to the Senate floor. Newsom points out, however, that the Chairman can move the matter to the floor himself. The good news, says Newsom, is that if the bill stalls on one side of the House or the Senate when the session is over then when the House resumes its session next year the bill gets picked up right where it left off without having to start the process over. How can I help getting the Compassion Bill passed? Great question. I happened to ask David that same thing and here is his response: Anyone who wants to get involved and see what’s going on, they can visit compassionatesc.com, the website dedicated to the advocacy group that is working on getting this Bill passed. He adds that organization has been the biggest problem about the south and that everyone who wants to get involved should know that CompassionateSC is organizing people in a positive way. At their website, you will find links to information, email addresses for the members in your area, and various to connect yourself to the cause. So what does this mean for the future of medical marijuana for south carolina? How many more people does this bill have to get the thumbs up from? What’s your take you a time frame?